https://www.satenaw.com/us-delegation-visits-ethiopia-to-discuss-reforms-human-rights/A U.S. delegation is heading to Ethiopia on Wednesday to talk about the country’s reform efforts since Prime Minister Abiy Ahmed took office in April. Since Abiy took office in April, Ethiopia has instituted reforms including releasing political prisoners, diluting state control of the economy, and making peace with northern neighbor Eritrea after two decades of hostility. 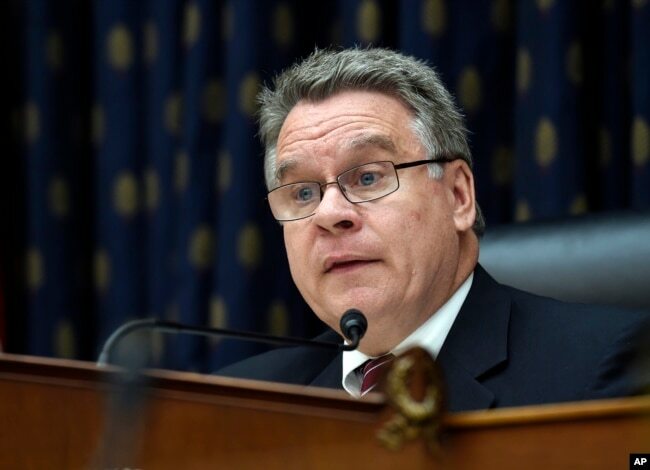 FILE – Rep. Christopher Smith, R-N.J., speaks during a hearing on Capitol Hill in Washington, Sept. 17, 2014. A 41-year-old former intelligence officer, Abiy came to power after his predecessor resigned earlier this year amid protests of abuses by security forces and public anger over perceived ethnic marginalization of many groups in the racially diverse country. Besides top officials, the U.S. delegation will also meet with religious and civic leaders and journalists. Their talks are to focus on human rights and democracy in Ethiopia. Smith confirmed to VOA’s Horn of Africa service that the government of Ethiopia has begun amending the Anti-Terrorism Proclamation with input from opposition parties. Critics of the law argue it has criminalized dissent, saying the 2009 law’s broad definitions have been used indiscriminately against anyone who opposes government policy. Among its provisions, anyone convicted of publishing information deemed to encourage terrorism could receive a jail term of up to 20 years. The delegation also will discuss border issues between Somali and Oromia states, where thousands are displaced and hundreds have been killed. The violence is said to be the biggest domestic challenge facing the country’s reformist prime minister. When he took office, Abiy ended a military stalemate with neighboring Eritrea and extended an olive branch to dissidents overseas. However, violence at the border continues.